Senor Burrito is a family-run business dedicated to providing the most fresh, authentic, and tasty burrito experience. ? ?Proudly offering burritos that are freshly made-to-order and bursting with flavour. Our menu also features many other favourites from Mexican cuisine. White or whole wheat tortilla with melted cheese & guacamole. Comes with three of the same tacos, With lettuce, pico de gallo, cheese, sour cream & side salsa. Deep fried burrito on white or whole wheat tortilla. filled with cheese, rice, beans and meat. The traditional abuela recipe. Cruller, unsweetened fried dough pastry. pico de gallo & sour cream. Served with side rice and beans. topped with fresh herbs sauce. Served with rice & salad. Flour tortilla filled with beans & rice. Topped with house made salsa. We wanted to try a different restaurant and my son found this Mexican place. It was his b’day! We were extremely impressed and loved the food. 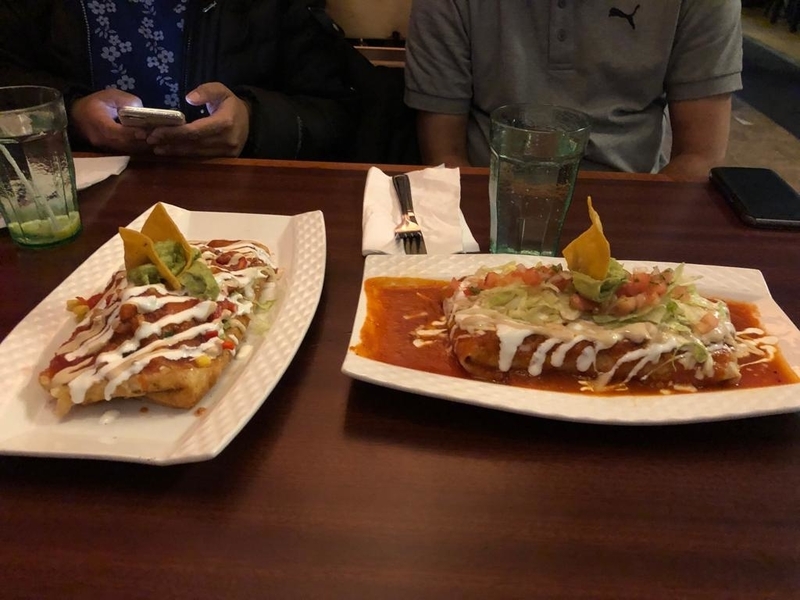 We ordered chimichanga, wet burritos and enchiladas based on the owners recommendation. All were excellent and chimichangas the best one. It’s a must visit place.